​Look, if you're a Manchester City fan this article obviously isn't for you. 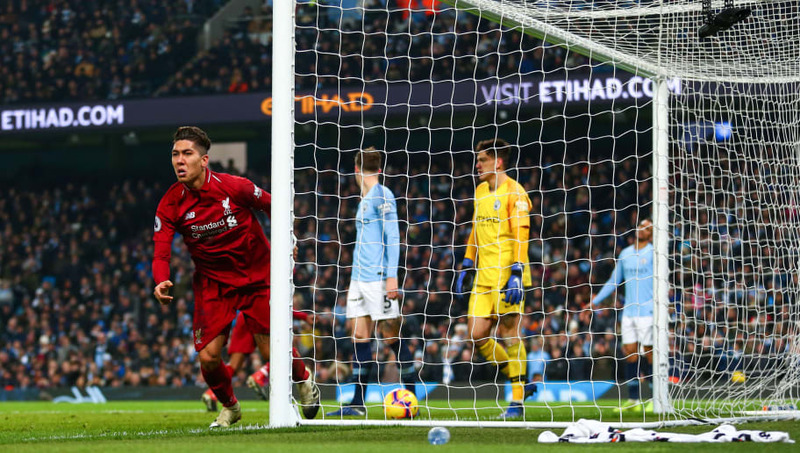 You'll probably be hoping for some Steven Gerrard-esque slip literal or metaphorical from Liverpool in the next few weeks, which will gently guide the league title back in your direction. Fair play to you. But if you are not a Man City fan, here is why you really should want Liverpool to win the league. And yes, that goes for everyone. Even Everton and Manchester United supporters. It seems pretty clear that an awful lot of neutral fans are desperate for ​Liverpool to lose their grip at the top of the league and ultimately miss out on the English game's biggest domestic prize. And I do get it, the Reds have never won the Premier League before. That is inherently quite funny. I also accept that their fans might become unbearable if they were to pull it off - but then again, few football supporters are humble in victory in these days of molten hot Twitter takes and social media one-upmanship. Regardless of all that deep well of 'banter', as a neutral fan of the Premier League you should want Liverpool to succeed just this once in 2018/19, simply because it means ​Manchester City will not. Well, for starters, in charge of the Citizens, is arguably the game's greatest contemporary footballing mind: Pep Guardiola. If Guardiola wins the league with City this season it could very well start a monopoly the Premier League hasn't seen since the days of Sir Alex Ferguson. It'll be back-to-back titles for his first time in England and we've seen the Catalan pull that kind of thing before overseas. At both of his previous clubs, ​Barcelona and ​Bayern Munich, Pep won three consecutive league trophies and all the hard Brexit in the world isn't going to stop him doing that in Blighty too. But less about City, and more about you (and me). I'll tell you secret: I'm an ​Arsenal fan. And just like you, probably, I'm none too pleased about Liverpool's recent upturn in fortune. I yearn for the days when Stewart Downing would whip in wayward crosses for Andy Carroll to swing his ponytail at in vain before crumpling in a heap of perma-injured limbs, as they regularly failed to make the Europa League spots, let alone the Champions League ones. But things change. That's football. That's life. And that should give you hope. Seriously, if Liverpool win the league, it means (almost) anyone can do it. Obviously, if you really want proof of that, just look at Leicester's title winning season. But I mean, in a far less extraordinary manner, if you make the right moves anyone decent can win this league in the next few seasons. Arsenal, Chelsea, Manchester United, Spurs; hell, even Everton or Watford could have a good go. I think there are a few key components behind the Reds recent rise. First, get a good manager and give him time to implement his style. Liverpool have Jurgen Klopp, one of the best, and he is currently in his fourth season with the club - only now has his vision truly come together. Next, you need to make the right moves in the transfer market. In Mo Salah it's fair to say Liverpool got a little lucky. Anyone smart would have recognised the Egyptian's potential to be a good signing, but no one could have quite predicted the player he would become. But, in Virgil van Dijk and Alisson Becker, these were cold, calculated purchases. Liverpool identified their weaknesses and were ready to pay top-dollar to turn them into strengths. It's fair to say the investments have been wise. Those are main the reasons why Liverpool are at the top right now. And there's no reason why other clubs can't follow a similar model. Though I admit, it's harder to do with less money. Which brings me onto the final reason as to why you should be wary of City's success. I'm loathe to go into the crassness of the whole money thing, because what top club these days aren't owned by shady billionaires with questionable links to their wealth? But look, before Sheikh Mansour took over the club in 2009, City's highest Premier League finish was eighth - they were even relegated from the division in 2001. Simply put, Manchester City is not the same club as it was before the takeover. It is a new club using the same emblem, located in the same city; those are the only similarities. Whilst Liverpool have benefited from the financial impact of their current owner, John Henry, it has not significantly changed the course of the club's history. Liverpool have always been one of England's biggest clubs. If it wasn't for the money, City wouldn't have Guardiola and they wouldn't be at the top. That is an indisputable fact. But we forget about the money sometimes, because they have a great coach with great players who play great football. It can be distracting, that's understandable. Ultimately, there should be enough reasons there to make you want Liverpool to win the league this season. But, if in spite of it all, you would still rather Manchester City come out on top, fair play to you - you must really hate the Reds. Just consider this though. The Premier League is the game's hardest division. For it to remain that way it should be won by the team who prepare the best, work the hardest, and play unparalleled football. No one team should be allowed to have a monopoly on those qualities - least not if they claimed them with financial power. At the end of the day, City's repeated success would call into question the Premier League's integrity and wouldn't that be worse than a some unbearable guff from a few oddballs on Twitter with Xherdan Shaqiri avatars for a few months?